Sharing in Growth is sponsored by Rolls-Royce and was set up specifically to deliver a £110M programme of Aerospace supplier development over 4 years to 30 to 40 UK suppliers. SiG already have a large user base and are set to grow over the next year. Infotech provide a fully managed IT support service (with on-site engineer) to over 80 members of office and mobile staff. We also manage Sharing in Growth’s Office 365 email platform and help them with the Hosting and maintenance of their website. 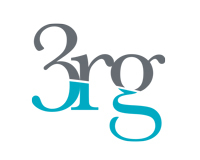 3RG are a security consulting company based in Dorset, founded by former members of the UK Special Forces. Infotech have implemented a cloud based email platform and provide day to day IT support. We also designed and host their website and manage the online booking system for their training courses. Delightful Living are a family run business, based in Derby. They create unique personalised gifts, all hand crafted and sold through ‘Not on the High Street’. 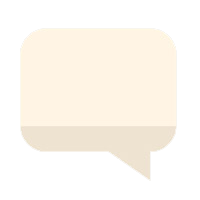 Infotech provide Delightful Living with a remote support package and assist their business when they need us. Riley Automation, established for over 50 years, designs and manufactures a comprehensive and diverse range of parts handling and linear vibratory systems. “Working with Billy and Greg means first and foremost that what you want to get done, get’s done! The service is professional at all times and their response times are quick. There has never been an occasion when they have not reacted to a problem or a service requirement with speed and efficiency, along with some good sound advice. A Structural Engineering company based in Burton upon Trent, specialising in Light Gauge Steel. We provide Swindale with a fully managed IT service. We’ve designed and host their website and we’ve migrated them from an exchange server environment to a Google cloud platform. The Children’s Bereavement Centre is run by a committed team of friendly, supportive and professional people who are qualified to help with the grieving process brought on by the death, terminal illness and divorce or separation of someone close. 3RGLeadership is a Leadership Training company, founded by former members of the UK Special Forces. We provide the business with a remote support package, we also designed and host their website and manage their email platform. Presenting success are a team who are passionate about presenting. They are very experienced in presenting at all levels whether it’s at an informal team meeting; more formally at Board level; in a multi-million pound sales pitch; or giving an inspirational keynote speech. Established in 1964, Monarch Equestrian is a family run business, based in the Midlands. Monarch is a world leader in the design and build of high quality stabling and equestrian equipment. Infotech have managed the migration of their exchange based email system to Google cloud. Clementine Jewellery are an on-line retailer of handcrafted Jewellery, based in Staffordshire. Infotech designed and host their website. Established in 1997, Centre Locum Link are the most established and experienced Locum Agency on the market. They supply nationwide to all opticians ranging from independents to all of the multiples. MCE’s expertise has helped us establish an unrivalled reputation for true engineering diversification working within the Food & Dairy, Nuclear, Rail, Automotive, Aerospace, Pharmaceutical, Construction and Architectural Sectors. “We are an established fast growing company based in Derby City Centre working in ever changing markets who expertise is in engineering and unfortunately not in IT! Since working with Infotech, our whole team hasn’t had to worry about I.T. The support and knowledge of the helpdesk is invaluable. The Stay Company offer high quality serviced apartments in the East Midlands, available to the business traveller for short or long-term stays. Teos Management are based internationally with offices in Cyprus and Dubai, offering bespoke Financial Services to high-wealth clients. We provide Teos with a range of IT services, including a fully managed cloud platform, secure document access, international office set-up and relocations, and security consultation. MPS Care Group we aim to provide a comfortable, safe and homely environment for all of our residents. Design Engineering Consultants Ltd were formed in July 2010. Since this time, we have successfully delivered many programs of work from within various sectors, these include: Automotive, Rail & Aerospace.